Hindu mythology and epics portray Indra as the king of the Devas. Airavata (white elephant) is the mount or vahana of Indra. The figure is a four handed Indra seated on an elephant. The makarathorana prabhavali has a simha mukh top. The front two hands are in abhaya pose while the back two hands carry ankusa and vajra. 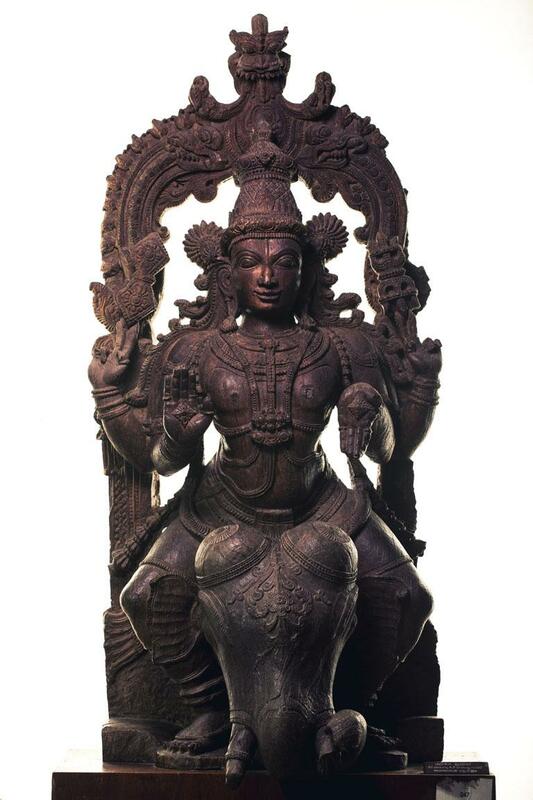 Kireeta, Kundalas, Hara and Keyura are beautifully carved.